Passing the context on every call to ->apply() could be annoying and will lead to duplicated code. As mentioned above, subjects can only be in one place in state machines but they can be in one or more states when using a workflow. 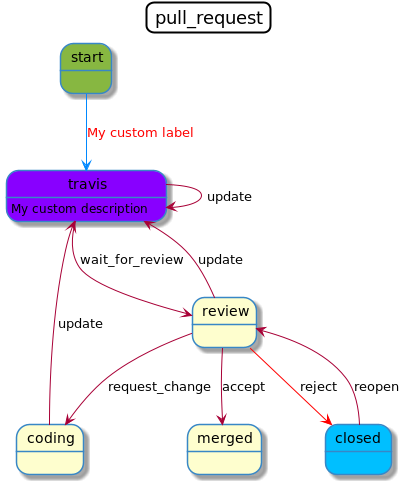 However, the initial design of the Workflow component allowed to use a workflow with a Single State Marking Store. This wasn't the best decision and it added some unnecessary complexity. Starting from Symfony 4.3, if your subject can be only in one state, use a state machine. In that case, the property (called marking by default) will be a string. If the subject can be in many places, use a workflow. In that case, the property will be an array. In Symfony 4.1 we added a feature to know why a transition is blocked.